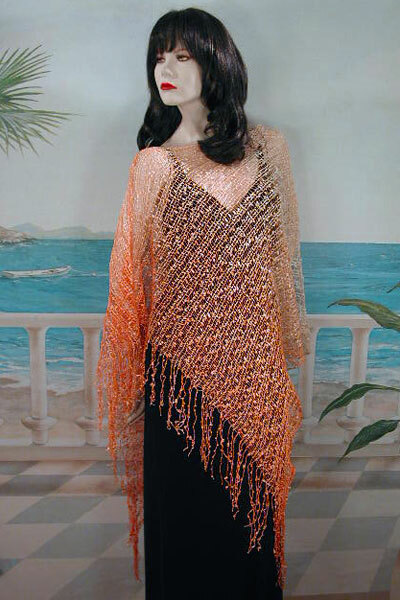 Asymmetrical Poncho with Metallic Threads Multicolored large asymmetrical fringed poncho. Fabric is a nubby texture with tiny silver threads which add a subtle sparkle. Color: orange Hue: Code: #FF9900. Measurements: width 22", length 32.